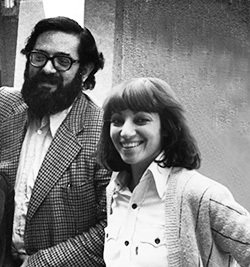 Manfredo Tafuri & Diana Agrest at the Institute for Architecture and Urban Studies in 1975. Photo by Diana Agrest. Manfredo Tafuri, Towards a Critique of Architectural Ideology, Contropiano 1 (January April 1969). Diana Agrest, Design versus Non-Design, paper presented in 1974; published in Oppositions 6 (Fall 1976). Manfredo Tafuri (1935-1994) and Diana Agrest (1945- ) offer searing critiques of architecture as ideology by rejecting the norms of the institution. Tafuri offers broad criticisms of modernism’s apparent failure as a social instrument in the face of capitalist processes. Unlike Tafuri’s expansive survey of the architectural landscape, Agrest’s critique of functionalism is deliberately situated within a specific moment in time, separating design and non-design. Tafuri’s pessimistic view of architecture on an inexorable procession towards its demise is sharply contrasted to Agrest’s willing engagement with other cultural systems. Tafuri believes criticism must function within the cycles of production in order to be “operative” while Agrest advocates a permeable, open-ended criticism that transcends the conventionally limiting mechanisms of design. Tafuri seeks to correct the internal problematics of architectural theory while Agrest rallies architecture to look beyond itself. Left: Urbanisme, projets A,B,C,H, Algiers by Le Corbusier (1930). Photo by Lucien Hervé. Right: Unité d’Habitation, Marseille by Le Corbusier (1952). 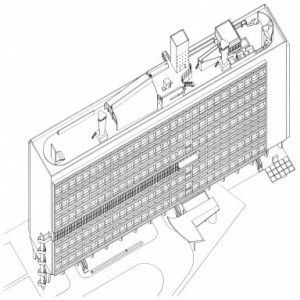 Both Tafuri and Agrest use works of Le Corbusier to substantiate their arguments. However, it is their selection of projects that reveals their inherently different approaches. Tafuri’s themes of naturalism and utopia are always centered around the city, the landscape and their contradictions. Agrest focuses on the more specific act of designing a building. 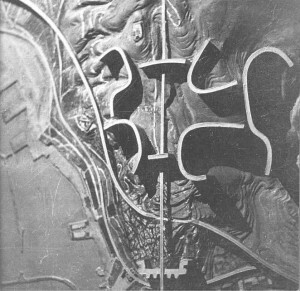 Tafuri’s inclusion of the Corbusier’s grandiose plans embedded within the landscape of Algiers is contrasted to Agrest’s close examination of an isolated architectural object. The organic forms slide and curl in the Algerian landscape. By Corbusier’s guiding hand, they bend to the terrain, infrastructure, privacy and so on. To Tafuri, the architect is the organizer, the overseer, distilling complex ideologies and forms through rationalisation. However, according to Agrest, the architect is but the analyzer, his ability to read opening up a plethora of possible phenomena. When quoting Unité d’Habitation, she methodically extracts each architectural element through the use naval metaphors, balancing pseudo-mathematical equations to produce relations of contiguity. 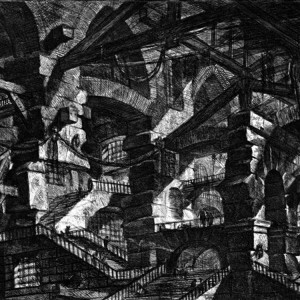 Left: Campi Martii by Piranesi (1762). 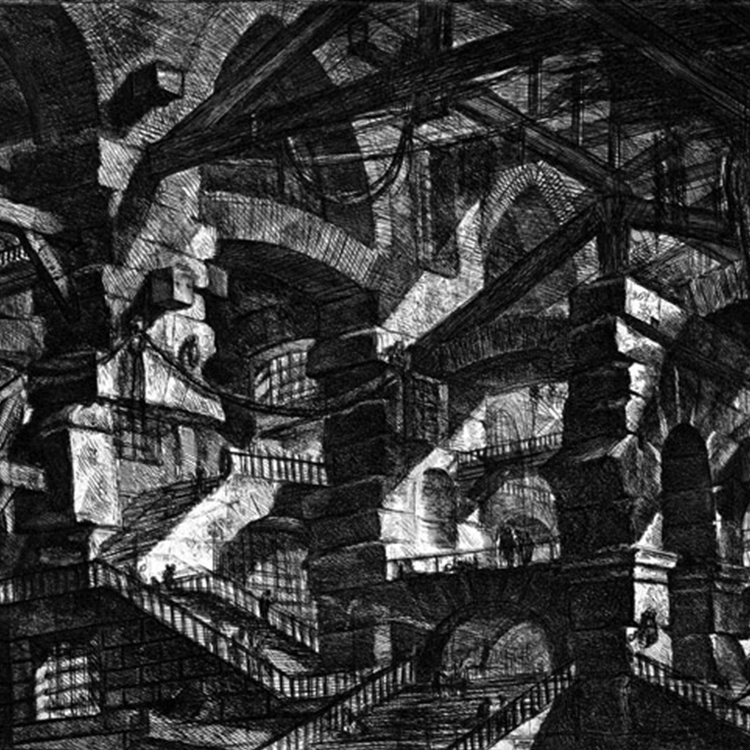 Right: Carceri by Piranesi (1743). In the case of Algiers, Tafuri interprets Corbusier’s proposal as a reconciliation between technology and the natural, to produce a new anthropogeographic landscape. Simiarly, he celebrates Piranesi’s Campi Martii as a “monument” late Baroque culture’s openness to revolutionary ideologies. The semi-fictional plan drawing of ancient Rome extends beyond itself to subvert archeological reality and architectural representation itself. The city is the battlefield, the backdrop for the clash of classicism and invention, of order and destruction, of reality and nostalgia. Tafuri repeatedly sees architecture existing in a dialectic within and against itself. Piranesi’s Carceri might be everything but a monument to Agrest. She mines the image as a system of relationships, of contiguity and substitution, which manifest themselves in cinematographic, poetic and musical readings. The architecture is not the resolution but the starting point, of a explosion of signifiers, chains and shifters that question architecture as a closed, internalized entity. Agrest kicks architecture off the lofty pedestal of control, to show architecture as simply one of many cultural systems, a fragment of a larger totality. Despite Tafuri’s and Agrest’s seemingly disparate approaches, they do have specific points of convergence. Tafuri calls for the dissolution of the object within the city as Agrest sees the benefits of fragmentation, producing new nodes and possibilities. They both share an appreciation for process, with Tafuri’s heightened awareness of the ongoing operations of objectification and Agrest’s partiality towards the act of reading and interpretation. Tafuri’s ambivalence towards ideology as interchangeable and equal is is mirrored by Agrest’s embrace of heterogeneity. They both are ultimately impassioned calls to action, serving as beacons for architecture to forge new ways of thinking. “Architecture from a New Angle.” Cooper Union. November 8, 2013. 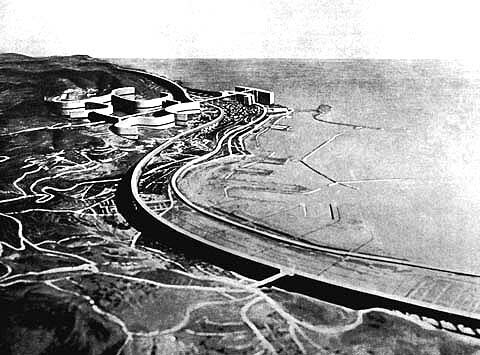 “Urbanisme, Projets A,B,C,H, Algiers, Algeria, 1930.” Fondation Le Corbusier. January 1, 2013. G. B. Piranesi, Inconographia Campi Martii (1762).